JA Orisite is a sports related template that comes bundled with 4 color skins which you can change according to the events or moods. 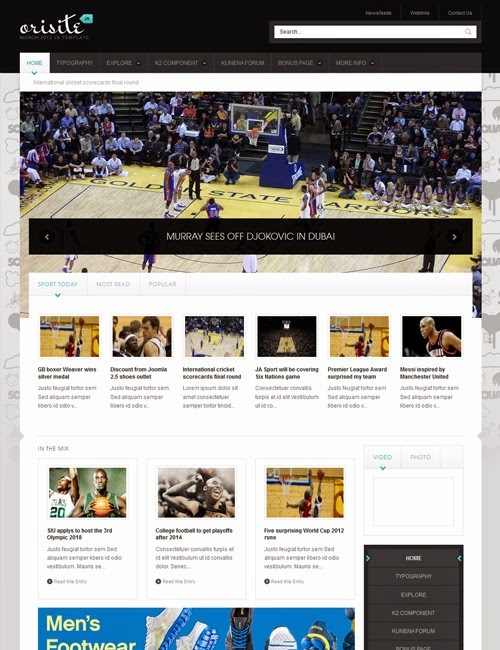 The best thing about the template is that you can use it to make news or content oriented websites within an hour. It comes supported with all functionalities of K2 and Kunena components and multiple extensions as well. Try it now.